Children’s bedrooms are the perfect place to let your fun and imaginative side shine. But while your toddler might love their bedroom right now, they’re probably not going to feel the same way about it a few years down the line. Children grow at a notoriously fast pace, so can their bedrooms keep up? Revamping your kid’s room decor every few years can take too much effort and become expensive. Instead of going through all that trouble, you can use a few simple home decor ideas to make your child’s bedroom get transformed as they grow up. These children bedroom ideas are perfect for your growing child. Light pink or blue walls might be the go-to colour for nurseries, but children often outgrow them very quickly. Instead of colourful walls, there are many neutral colour palettes you should explore for your child’s room. Neutral walls are one of the safest children bedroom ideas because they provide the perfect backdrop for your child’s growing personality. Light neutral walls can also make a child’s room seem more bright and inviting. You can decorate your neutral walls with quirky accents that reflect your child’s interests. Even with white walls, this room looks far from boring with blue furnishings and a striking navy blue and white area rug. 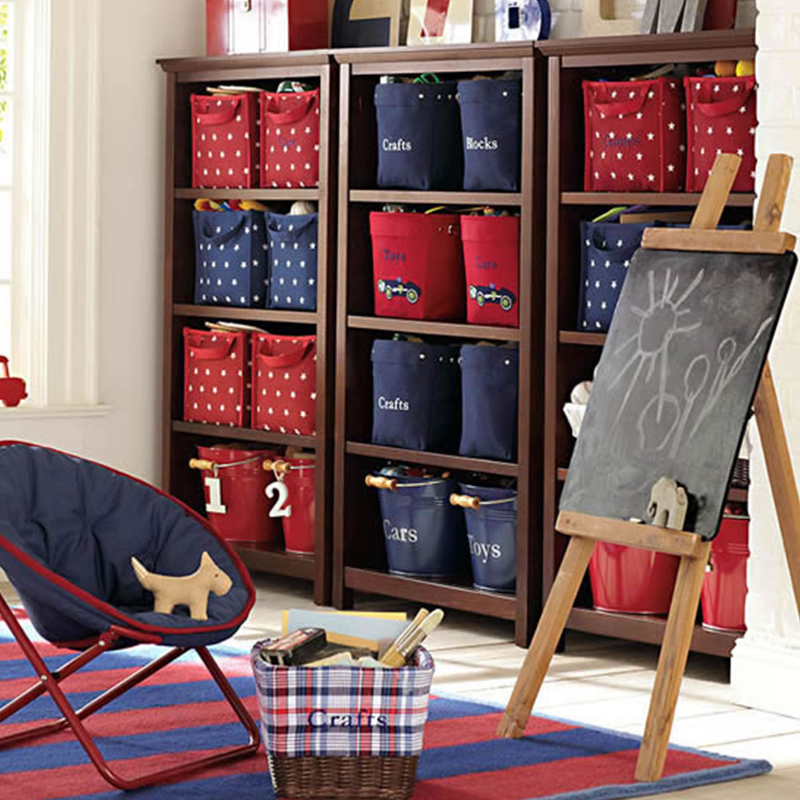 Furniture is often a long-term investment, so choose wisely when you’re decorating your child’s room. Instead of themed furniture that your child is bound to outgrow fast, choose timeless, beautiful pieces that will grow along with them. Beautiful floating shelves for books and knick knacks, large wooden cupboards and spacious trunks are as useful for a baby’s room as they are for a teenager. But if there’s one piece of furniture that you can have fun with, it’s the bed. Young children are bound to outgrow their beds quickly, so you can buy your kids fun-themed beds at each stage. In this room, the white classic furniture is as appropriate for an 8-year-old as it is for a 14-year-old. Your toddler might love cartoons, but it’s very unlikely they’ll love the same cartoons at 10. Themed furniture and decor can be very tempting children bedroom ideas, but bear in mind, you will have to replace all of it as your child grows. Instead of sticking to a theme in all of your decor, try to incorporate elements of it in smaller accents. If your little boy loves trains, you can use train-themed wall decals which are easily removable. This way, even if he does outgrow it soon, adapting the decor to his changing personality won’t require too much work. 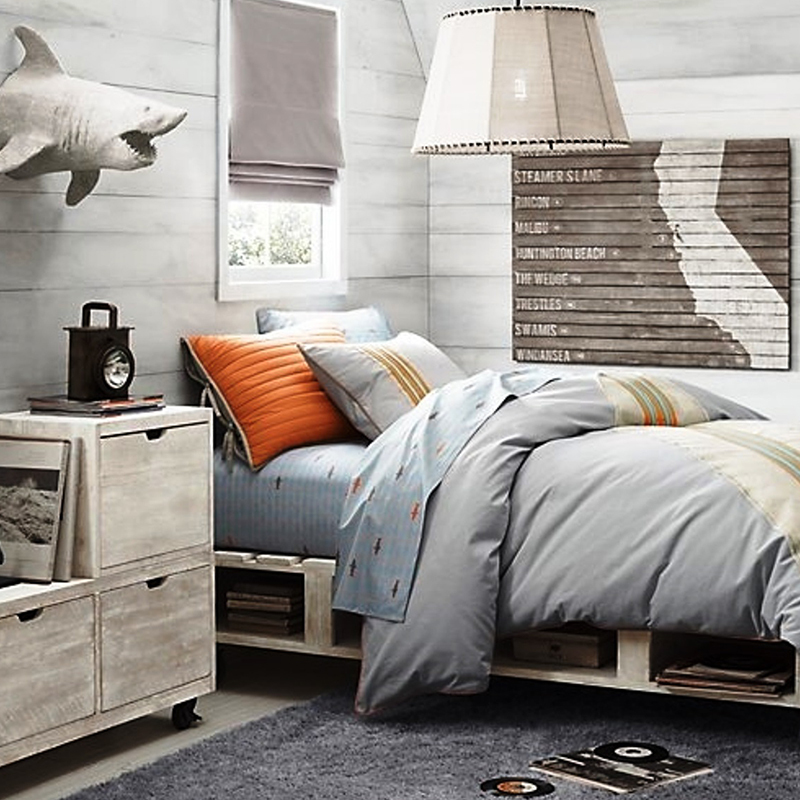 In this kid’s bedroom design, the underwater theme is carried through in the shark wall accent and sheets, but is restrained enough to adapt over time. Children and adults think of bedrooms very differently. While for adults, bedrooms are just a place they relax in, for children, their bedrooms are their haven. Children want their bedroom to reflect everything they love. This is why your kid’s room decor should showcase their personality, not your own. If you love quiet, understated palettes but your child loves bright colours, don’t force your taste on your child. Finding the right balance between your child’s tastes and your own is the key to decorating a room that they will love at any age. 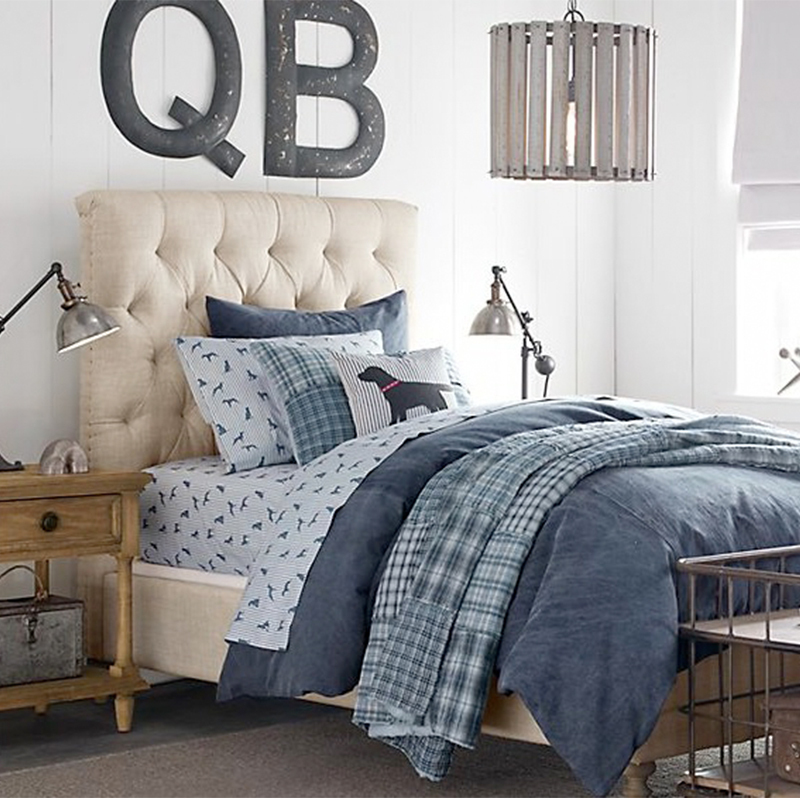 This bedroom is the perfect example of reflecting your child’s interests in a tasteful way. The beautiful dog silhouettes, for instance, are a lot more timeless than just cartoon prints of dogs. Children might be tiny, but their stuff takes up a ridiculous amount of space. 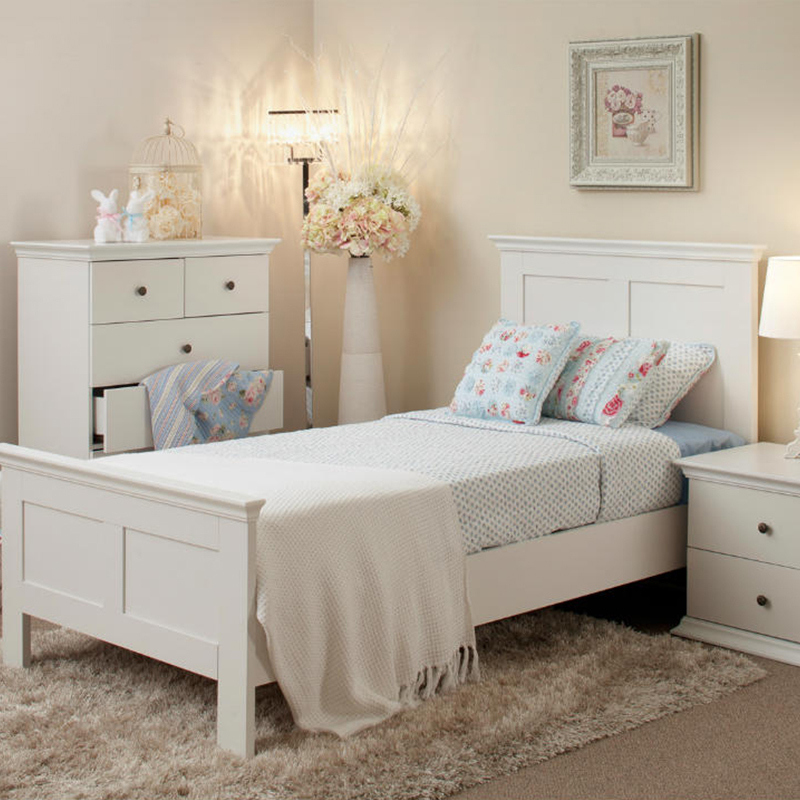 When decorating your children’s bedroom, one of the most important points to remember is practicality. Your kid’s bedroom designs might be the most beautiful ever seen, but unless it has proper storage, your child will wreck it in a week. Adding proper storage solutions also go a long way in teaching your children about responsibility. By making it easy for your kids to put away their toys when they finish playing, you can slowly get them used to doing chores. This bedroom innovatively uses colour-coordinated storage boxes to make it part the kid’s room decor. Labelling the boxes also helps children clean up after themselves easier. With these children bedroom ideas, you can create a bedroom for your child that they will love no matter how old they get. If you’re looking for a home that is perfect for your whole family, visit Lancor to spot your dream home and buy it. Our large green spaces and luxury amenities are what every family dreams of in a home. T. Nagar, Chennai 600 017.